The World Cup is a little over two months ahead and everyone is getting ready. Some people are checking their TV service and some are buying new big screen TVs. Others are placing their bets on online gambling sites, to increase enjoyment of the big World Cup Final ahead, or to simply win some spare cash. 32 teams were drawn in ribbons from a pot. Not every country who qualified earned a spot—there are simply too many excellent football teams from around the world—but 32 is still a large number of games. The pots were separated into eight groups of four. Now that they’ve been announced, and the first playing schedule set, we can start looking forward to who is going to win the first round of games. Each country will be playing three other countries. Only two of those four countries will move onto the next phase. Despite FIFA figuring out the best way to narrow down the games in Russia, that’s still a lot of games to watch. The best way to narrow down the games to the best ones are by figuring how who the top five teams are. And if you’re placing your bets soon, you’ll want to be in the know for who could potentially win in each round. 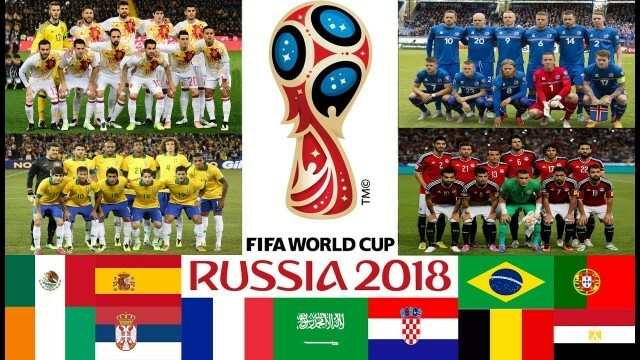 Just who are the top 5 teams in the 2018 World Cup? It’s going to be tricky. We know it won’t be Italy, as they didn’t make the draw. Newcomers Iceland and Panama are likely not going to kick a win for their first time playing the World Cup. Let’s see who’s looking good to us, besides England, of course. Germany is always a solid contender for the World Cup. They’re won four World Cups, the most recent being in 2014. But you should know they’re on top of these game for this round, as they won the 2017 Confederation Cup. The only team that could have potentially knocked Germany from the running was Spain. But instead, they’re playing Mexico, Sweden, and South Korea. We’ll look forward to seeing them quickly move ahead. Brazil also managed to avoid playing Spain, so we expect they’ll do well. Costa Rica and Switzerland are likely to have little effect on them. Their toughest competitor will likely be Serbia, so we’ll look forward to that game. Brazil has won the World Cup five times now. Spain is a strong opponent for all teams at the World Cup which is surprising, as they’ve only won the World Cup once. But most other countries find them a challenge. Most don’t want to play their first round against them, as it could be embarrassing being eliminated so quickly. At this World Cup, Spain will be playing Portugal, Morocco, and Iran. The latter two aren’t going to be challenging enough, but due to the territorial proximity of Portugal to Spain, that’s going to be one exciting game that is worth watching. France hasn’t won a World Cup since 1998, but since the games are played only once every four years, and only a total of eight countries have ever won the total number of World Cups in its lifetime, they have a strong chance of winning this time round. This team has a star-studded squad of players. They’re ready for the cup. This team will be playing Peru, Australia, and Denmark, the latter being their greatest rival. Argentina did have some qualifying difficulties but they’re still a good contender for the World Cup. They’ll be playing Crotia, Nigeria, and the newcomers from Iceland. Croatia is perhaps their biggest threat. There are many more teams that are going to qualify for a top spot in the 2018 World Cup. It’ll be exciting to see if one of the other 24 countries that has never won a World Cup may actually succeed this year. Or, will it be one from the usual top eight list? In a way it would be exciting to see someone else win for a change. But most people can agree that Germany seems heavily favourited to win the 2018 World Cup Final. Now that the game is on, the teams are likely undergoing some heavy coaching to have a better grip on the field. If you can’t watch all the games, narrow down your play list to these top five teams. Oh, and England too of course!